Take a look at the Department of Health and Human Services’ Office for Civil Rights website and you will discover relatively few financial penalties have been issued for HIPAA Privacy violations. Even apparently serious violations of HIPAA Rules have not always resulted in financial penalties being issued. Out of the thousands of data breaches listed on the website, only a tiny percentage have resulted in a financial penalties being issued, with the OCR often favoring other enforcement actions. This has not gone unnoticed by the Office of the Inspector General (OIG). The OIG has just published the findings from two studies conducted on the OCR to assess how well the agency is enforcing HIPAA Rules. The first study was conducted to assess the OCR’s oversight of covered entities’ compliance with the Privacy Rule. The main problem was found to be the OCR’s lack of proactivity in assessing compliance with the Privacy Rule. In an ideal world, the OCR should be conducting random audits to determine whether covered entities are meeting Privacy Rule standards. Such a program would likely find many organizations that are willfully disregarding HIPAA Rules, but the implementation of such a program would also likely spur many organizations into action. 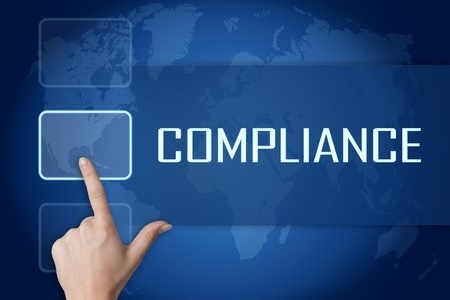 If there is a very real chance of being discovered to be in violation of HIPAA Rules, it would be likely to prompt those organizations to take action to address areas of non-compliance. The second report detailed a second investigation into the OCR’s efforts to oversee compliance of HIPAA standards. The study assessed entities that had submitted breach reports affecting more than 500 individuals, as well as smaller data breaches affecting fewer than 500 people. The second study covered the same time period as the first study, and involved a similar methodology. The OCR has previously stated that it investigates all data breaches affecting more than 500 individuals, and this was found to be the true in almost all cases. As a result, a covered entity could suffer multiple data breaches affecting small numbers of patients, but the OCR would not always be able to determine this when investigating the organization for a large–scale data breach. In such a situation, a financial penalty may be appropriate, yet may not be issued based on the information available. According to the report, “61 percent of OCR staff checked at least sometimes as to whether covered entities had reported prior large breaches, 39 percent rarely or never did so.” As with the first study, the case-tracking system was not up to the task. The documentation review conducted by the investigators determined that “most [covered entities] addressed all three selected breach administrative standards but 27 percent did not. These providers may not be adequately safeguarding PHI,” the investigators concluded.